(Psalm 65: 10, 12) You visit the earth and water it, You greatly enrich it; … You crown the year with Your goodness, and Your paths drip with abundance. Did you know that September 14th, rather than January, marks the beginning of the Liturgical year? We have ended our liturgical cycle with the blessing of flowers on the Feast of the Dormition, marking the mortal death of the Mother of God, and we restart the cycle celebrating her birth (Sept. 21st). 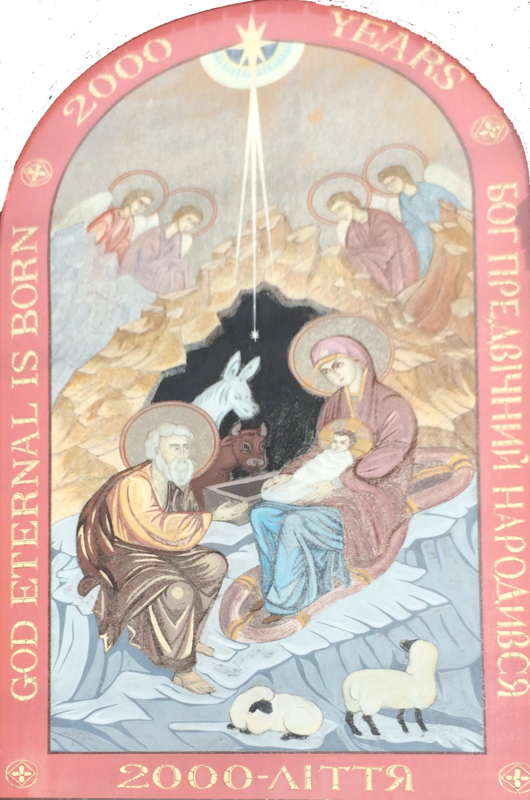 Tags: Catholic, Kitchener, Liturgical New Year, Mother of God, Ukraine, Waterloo | Permalink. 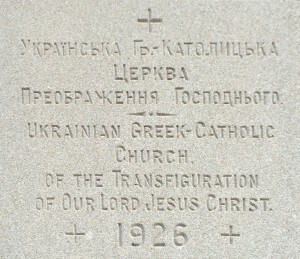 In spite of the demands of wartime, Canada’s Ukrainian Catholic women established the Ukrainian Catholic Women’s League of Canada in 1944. Three years later, recognizing the wisdom of a national organization, the women of our Parish decided to establish a UCWLC branch in Kitchener and join this impressive and unprecedented initiative. This week, we honour their 70 years of service to our Church, our parish, and the Kitchener-Waterloo community. Tags: Canada, Catholic, Church, community, Kitchener, Ontario, UCWLC, Ukrainian, Waterloo, women | Permalink. Why go to church? [Pt. 11] Що відбувається на Службі Божі? What is the meaning of other Services in our Church, besides the Divine Liturgy? In our rite, we have a great number and variety of services. Each has its own worth. Too often, we make the mistake of measuring other liturgies as “less than” the Divine Liturgy. Each liturgy is a glorification of God. We sing various biblical texts, hymns, chants—thus achieving the pinnacle of human ability; the celebration of God. Tags: Canada, Catholic, Christ, Church, God, liturgy, prayer, Waterloo | Permalink. Why go to church? [Pt. 8] Що відбувається на Службі Божі? During the Liturgy, follow along in the prayer books – either in Ukrainian or English. Find someone who can explain the text, because it was written a long time ago and has archaic terms and unfamiliar phrases. But I’m convinced that these prayers are actually very current today. Their genius lies in that, despite being ancient, they continue to appeal to human emotions and resonate with us. For example, during the Divine Liturgy the priest says, “We hand over our life and hope to you, Lord, Lover-of-humanity”. This phrase is brimming with significance! Tags: Canada, Catholic, Church, Kitchener, liturgy, prayer, Ukrainian, Waterloo | Permalink. But are some sections of the Liturgy more important than others? No. Absolutely not. I’m not a fan of the (sadly) popular approach of dividing the Liturgy into more or less important segments. Because the Liturgy is a totality in itself and every separate section makes sense only in relation to the whole. If you fragment the unity then everything falls apart, shatters, and we cannot understand what is there. The Gospel reading, the offering of the gifts, the eucharist, the dismissal, as much as the singing, the incensing of the priest—everything—is absolutely essential. Tags: Canada, Catholic, Church, God, Kitchener, liturgy, Ontario, prayer, Ukrainian, Waterloo | Permalink. In the upcoming weeks we will be turning our attention to the Divine Liturgy. 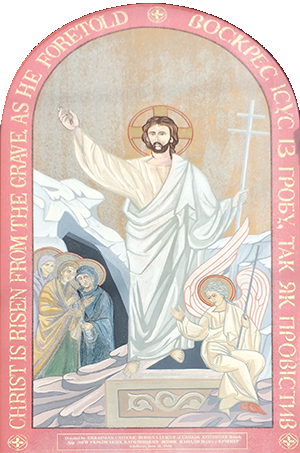 In the bulletin we will be excerpting articles which help explain this central liturgical event. The articles come from the magazine KANA (Dec., 2016) and offer us various perspectives. If you have your own questions about the Divine Liturgy, please send an email to Fr. Myroslaw and we will try and answer them in an upcoming bulletin. Tags: Canada, Catholic, Church, Divine Liturgy, God, Ontario, Ukraine, Waterloo | Permalink. Thank you to all who helped make the Parish Malanka a terrific event! Tags: 2017, Canada, Kitchener, Malanka, Ontario, Ukrainian New Years, Waterloo | Permalink. We’re starting to prepare for the visit of Patriarch Sviatoslav on September 29th. If you, or anyone you know, wishes to sing in a Ukrainian folk choir for the 90th Anniversary celebrations, please talk to James French in church or contact him by email: james.andrew.french@hushmail.com. The first practice will be in the church basement at 7:00 pm on Thursday, July 7th. Tags: Catholic, Kitchener, patriarch, Ukraine, Waterloo | Permalink. 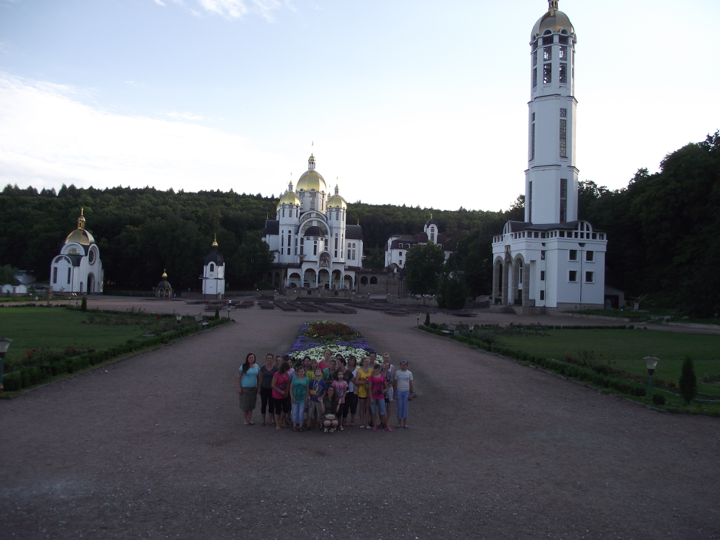 The parish branch of the UCWLC has agreed to sponsor the participation of young girls from the Petryky Internat (for girls and women with disabilities) in a one-week camp at the beautiful pilgrimage site of Zarvannytsia. Students from St. Jerome’s University (Waterloo) have been volunteering at the Internat just outside of Ternopil, Ukraine, for 10 years. Each summer, at the end of July they accompany a group of girls from the Internat to the camp. Unfortunately, in recent years the camp was on the verge of cancellation due to financial challenges. This year, the residents of the Internat can anticipate with joy and excitement the transformative experience of Zarvannytsia—thanks to the women in our parish. What’s more, our UCWL branch has generously offered to sponsor the participation of the Internat residents annually. This year’s commitment is $1200 (US). Tags: camp, Kitchener, Ukraine, Waterloo | Permalink. The Food Bank of Waterloo Region sent the following letter thanking our parishioners for contributing 198 pounds of food. Please click here to read the entire text. Thank you to all who gave generously in support of those in need in our community. Tags: community, Food Bank of Waterloo Region, Kitchener, support, Waterloo | Permalink.